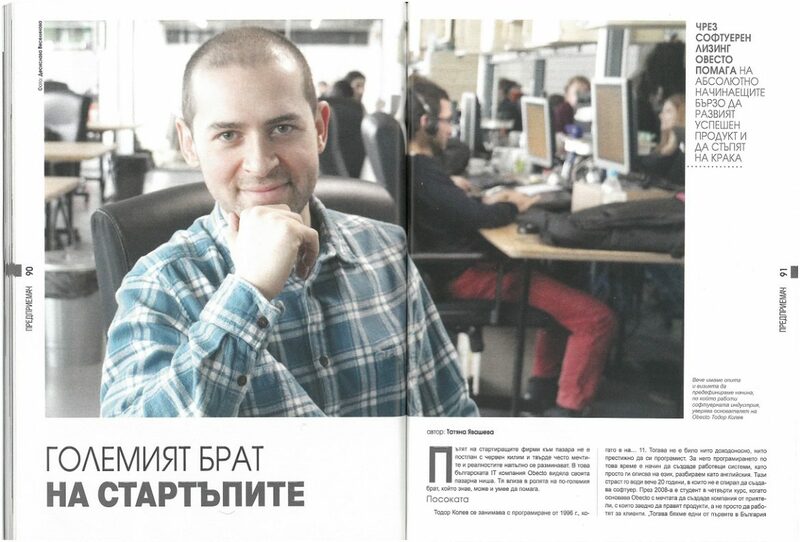 We were very happy to see our founder, Todor Kolev, in the latest issue of the Economy magazine. We just couldn’t wait and translated the article here. Wish you a nice read. Hope you enjoy it as much as we did. The road of a startup is not one paved with gold and more often than not the founders’ dreams do not match reality. In that mismatch is where the Bulgarian IT company Obecto found its niche. Obecto is to startups as an older brother is to us – having the knowledge and the skills and knowing how to help. Todor Kolev, the founder of Obecto, started developing software back in 1996 when he was…11. Back then it was neither profitable nor prestigious to be a developer. To him developing software was just a way of describing systems to a computer in a language it would understand, as we would in English. This passion has led him for the past 20 years, during which he never stopped developing software. In 2008, in his last year in university, he founded Obecto, with the dream to develop a company of friends who build products together, not just for the sake of servicing clients. 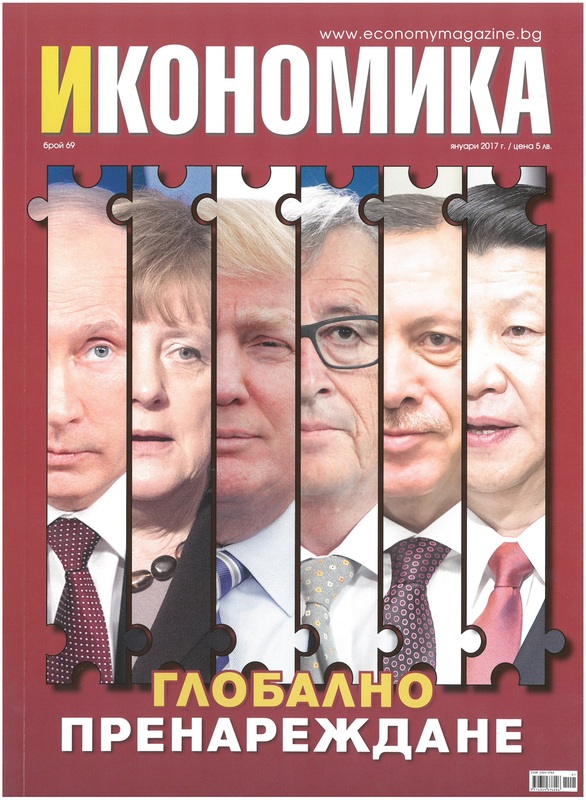 “Back then we were among the first in Bulgaria with such a vision. We have put the emphasis on developing a team, not finding clients and did not aim to make lots of money but rather to build a new kind of organization.”, sais Todor. For 8 years the company had many achievements, but some hardships as well – when the company was on the verge of going under. They survived some problematic clients and unpaid invoices for significant amounts. Furthermore, it turns out that Todor Kolev had the misfortune of joining the wrong partner in the company and in 2016 he had to raise Obecto almost from the grounds up enduring the damages caused by parting ways with shareholders in the company. The company bounces back quickly though and in October 2016 it was awarded “Comeback of the year” award by the Global Entrepreneurship Monitor (GEM) for Bulgaria. In this new beginning, Obecto started with many lessons learned and the clarity what the next target is. “We now have the experience and the vision to redefine the way the software industry works”. Now Obecto’s services are aimed at entrepreneurs who have the right qualities for starting a successful tech business – have a good idea and the expert know-how, but lack the skill to develop their own software product. In that case, Obecto takes the role of a co-founder or a chief technical director. It puts together a team of developers and manages the development process. This way the founder has to focus just on developing his/hers product vision and validate the product market fit, leaving all worries of developing their software product to Obecto. During the development, the founders have to cover just the base cost for paying the developers – pretty much what they would pay if they have hired the developers themselves. As for the rest of the costs, Obecto keeps the intellectual property over the software until the startup is ready to cover them. They call this “software leasing” – sort of giving the client a mortgage for the software they are developing. The founder can still use and monetize his/hers product, having exclusive rights to it. The only condition being to share part of their profits with Obecto until the full cost of the software leasing is covered. This way Obecto acts as an operational investor – sharing the risk with the founders, working just on base cost but having the opportunity for a larger return if the startup succeeds. The venture capital funds look for companies which have at least a ten-fold potential for growth. This way they have to operate under a great risk – for them, it is difficult both to invest and to get a return on their investment. With Obecto’s business model the expected return on investment is 4 times and the risk is also smaller since the return is paid bit by bit. For Obecto it is more than enough if the startup they invested in has just a regular profit. This model is perfect for tech entrepreneurs in more traditional areas with down to earth business models, who would turn a profit but are not aiming to be the next Facebook. The business model of the Silicon Valley, for building the so-called unicorns (companies worth billions), founded by college drop-outs, seems to work for them and for them alone but is unrealistic for the young Bulgarian entrepreneurial ecosystem. One of Obecto’s intriguing clients, with whom they currently partner is a former energy expert from London. He has worked for one of the larger household electricity suppliers, in a decentralized market that is, with a real competition among suppliers where the household can indeed choose who supplies their energy. His intention is to build a truly modern company for supplying gas and electricity in which everything is automated – reading the power meter, paying the bill and the maintenance. Instead of call centers and offices, there is going to be a chat bot and a mobile application. The end result is a cheaper and more convenient service for the households. “There are many experts, ex-corporate employees and people with a childhood dream and the savings, who are not worse entrepreneurs than those college drop-outs, spending VC money. They are a niche not serviced properly by the current system of accelerators and investment funds”, explains Todor Kolev. That is exactly the type of entrepreneurs Obecto wants to work with. “Around 3 million years ago, our ancestors sharpened a stone for the first time thus creating technology. It is nothing more than the materialization of our desire to create more with less. Since then humankind utilizes the existing technology to create an even better technology. This way its growth speed becomes exponential. This growth is the reason that all technologies develop much faster than our linear-programmed brains can easily anticipate”, sais Todor Kolev. Building a startup in 2016 is not what it used to be just five years ago. Back then it was enough to have an idea for some small improvement of a process or a product and a vague idea how to get there. Also, the investors were more open to making investments, excited by the initial success. Now, a promising startup is one that can prove a meaningful innovation with potential. Startups are no more considered the small and cute brothers of the large corporations, which build interesting gadgets and smartphone applications. Startups are expected to solve real problems for the people and the business. That is why founders need to develop much deeper knowledge of the fundamental processes that move the technology and economy forward in the beginning of 21st century. Processes such as disruptive innovation and exponential technology. These terms have definitions, are extensively analyzed and the entrepreneur who wishes to work in this area needs to be closely familiar with them. It is not ok to just have heard of them. Many entrepreneurs focus too much on the details and do not see the tree forest. The entrepreneurs-to-be must rely more on science and be aware of the fact that having a good idea and working hard is not enough anymore. One needs knowledge, to see the patterns “invisible” to others, where the new opportunities for business and development lie.